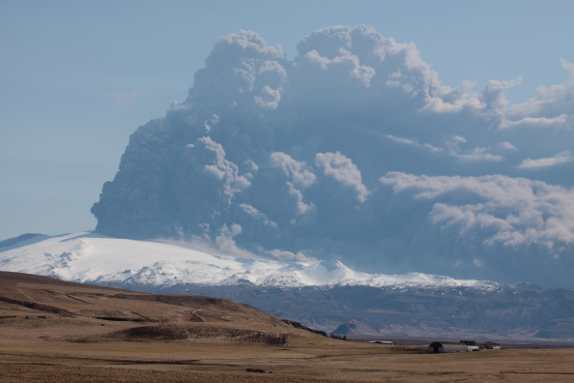 A journalist commented a week ago that although we knew that the volcano Eyjafjallajökull in Iceland was causing the cancellation of flights, we didn’t know how to pronounce it. Well, we do now! Chris Warren, whilst still delayed in Japan, has gained exclusive access to a top-flight linguist (his brother, Professor Nicholas Warren of Fukuoka University, Japan) and can reveal, exclusively, here that Eyjafjallajökull is pronounced AY-ya FYA-tla YEUH-kutl. Or, to put it another way: [ei.ja,fjatl.a’jœ.kʏtl]. 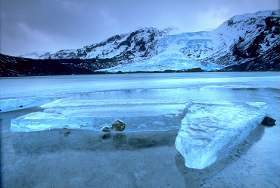 It means, literally: ‘island mountains’ glacier’. Amongst other gems imparted by the learned Professor Warren is the nugget that, in English ‘the -s- in island was inserted because of folk-etymological association with isle from Old French from the Latin insula (compare this with the Icelandic eyja).’ Ever idiosyncratic, the English, eh? Meanwhile, back in England, beside the fells (Icelandic fjalla, Old Norse fiall, fjall ‘mountain, rock, barren plateau’) of the High Peak, the political scene seems to be subject to earthquakes of its own, as the tectonic plates of two-party politics are all shook up. As Marina Hyde puts it in today’s Guardian: ‘For those of us perfectly happy to concede we haven’t a clue at the best of times, and merely hazard this sort of cobblers in exchange for beer tokens, the sense of discombobulation is delicious and thrilling.’ Furthermore, there’s an interesting account by Ian Jack of his visit to Somerset to meet the Rees-Moggs who featured in an earlier post. Photograph by Andreas Tille from Wikimeida Commons, published under the Creative Commons Attribution 3.0 Unported licence. Poetic responses to the silent skies – and an election aside. Outwardly, then, all is calm, even if his situation, trapped far from home, is less than ideal. Haiku, it seems, are of the moment, for Herman van Rompuy, the new President of the European Council, has just published his own volume. The Guardian comments that ‘his passion is for a form of Japanese verse that is the bureaucratic equivalent of the limerick’. The poet himself prefers to describe the form as ‘fun and frolicsome’. As I hope the examples here show, haiku can achieve far more. Chris inspired a response of my own, after a visit to the Long Gallery at Montacute House last week. It contains Tudor and Elizabethan portraits from the National Portrait Gallery, including figures such as Essex and Francis Bacon, posing in their finery and haughty demeanour, whilst the roads outside are peppered with election posters – including many for Annunziata Rees-Mogg, who must surely also be from a family of ancient entitlement. She is (her father edited the Times) and just to make the point, her brother Jacob (‘the headline-prone 37-year-old banker’, says the Independent) is standing in the next constituency. ‘Economies of scale ought to be possible when it comes to printing the ‘Vote Rees-Mogg’ posters,’ quipped the editor’s daughter. She was right – the landscape was peppered with blue signs, with only a solitary yellow ‘Vote Tessa’ poster stuck, incongruously, at the edge of the beach at Burnham-on-Sea. The Poet Laureate, Carol Ann Duffy, was also struck by the quiet. She apologises to those stranded (including, implicitly, our friends in Japan) then relishes the kinds of sounds ‘that Shakespeare heard and Edward Thomas and, briefly, us’ – for every cloud has a ‘Silver Lining’. Hear Carol Ann Duffy read it the poem on the BBC site or read the full text on the Guardian site. It’s not a haiku, though…. Photograph by Boaworm from Wikimeida Commons, published under the Creative Commons Attribution 3.0 Unported licence. 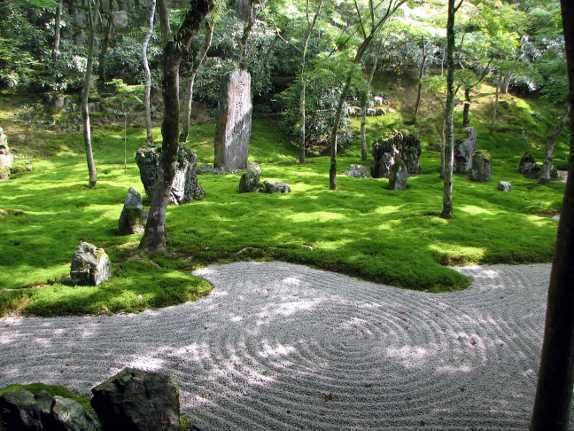 Zen stone garden at the Komyozenji temple in Dazaifu by Chris 73: see below. Look out for more, either here or on our English and ICT site! All poems here by and © Chris Warren. The photograph is a Wikipedia and Wikimedia Commons image from Chris 73 (not Chris Warren!) and is freely available here under the Creative Commons cc-by-sa 2.5 licence.